Breathtakingly Beautiful, Amazingly Affordable wedding invitations, announcements and thank you cards. Get A FREE Brochure from "Beautiful Wedding Announcements"
Beautiful Wedding Announcements is dedicated to providing you with the best quality invitations at the best price!! We’ve added our personal answered below. What kind of budget are you working with?? It doesn’t matter! We offer packages as low as $50. 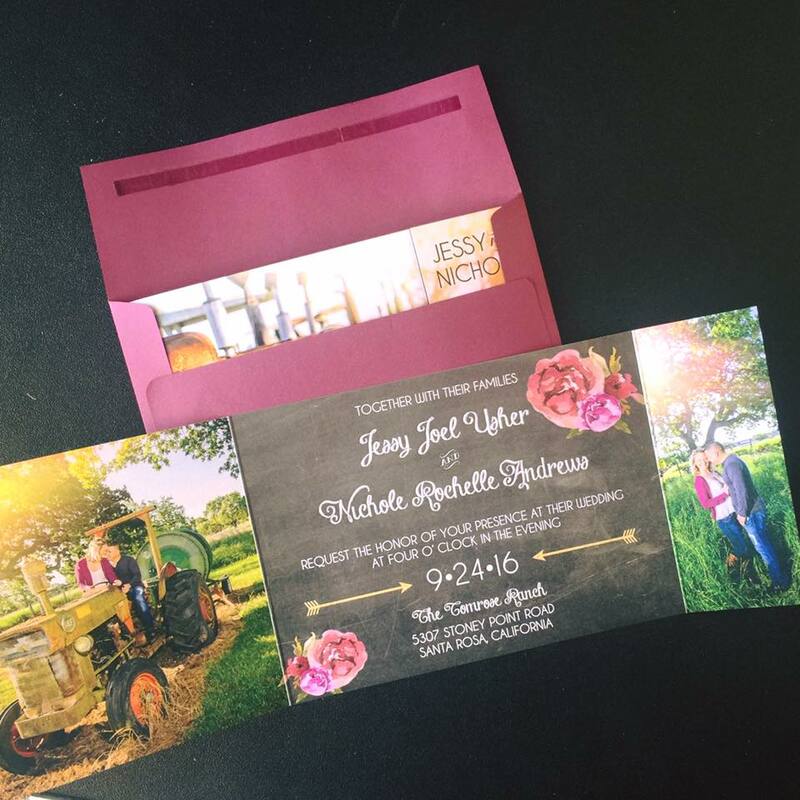 Want to dress up your invitation?? No problem! We offer it all! What kind of quality can you expect to receive?? Only the best, we aren’t shy! We give you a packet of samples when you meet us! Have you had a chance to check it out yet?? How long should you plan on waiting to pick up / receive your invitations once you’ve submitted your final order?? Beautiful Wedding Announcements takes 2-3 business days to print your invitations and have available for pick up with any standard order!! Who are you ordering from?? Beautiful Wedding Announcements. 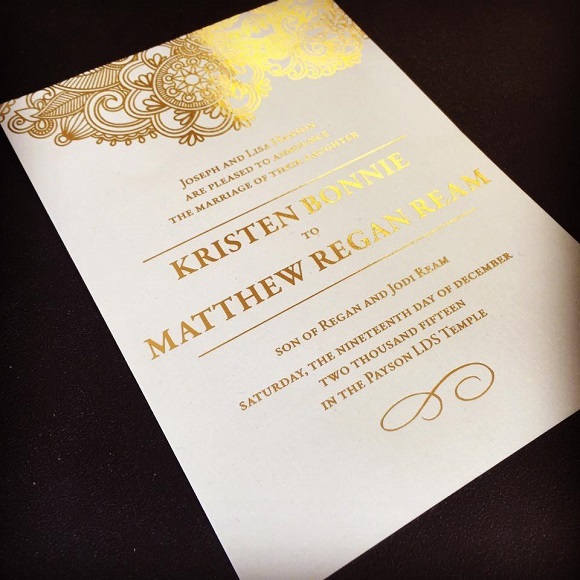 A company dedicated to providing you the best quality invitations at the best price. Your product is not outsourced. It never leaves our hands until it reaches yours. We are proud to be a small company, 13 wonderful employees with top of the line equipment serving couples all over the US! Since 1979 Lyn and Collette Talley (operators and owners of a full service print shop, Beautiful Wedding Announcements) have been helping brides create beautiful wedding invitations. 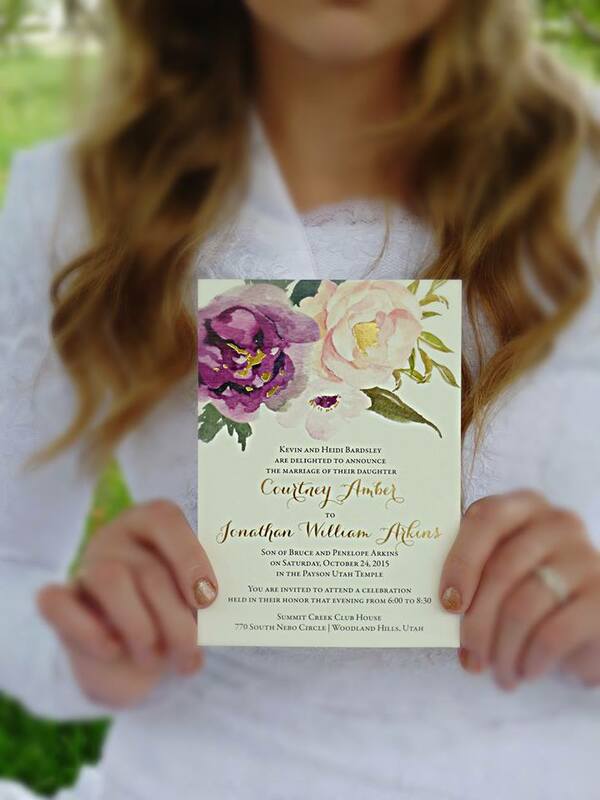 We help brides all over the country create top of the line invitations at a price that won’t break your budget. 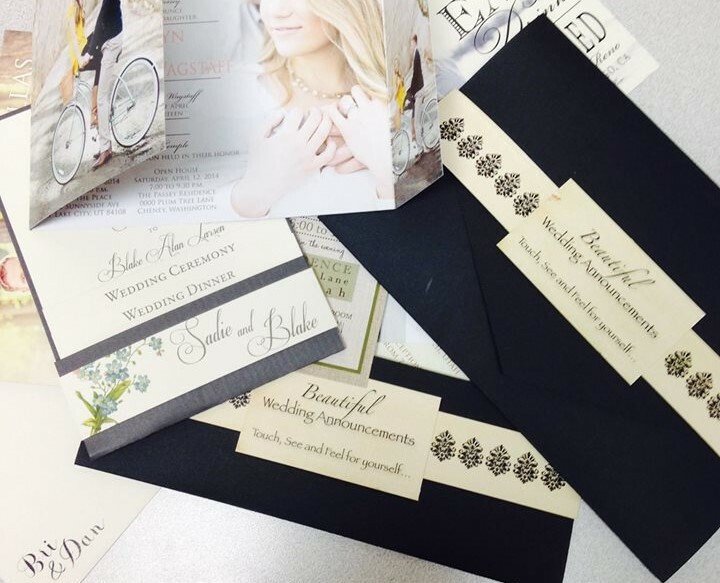 Our online stress free process makes it easy to order and receive your invitations quickly. We are so excited to be helping you! Please mention Salt Lake Bride when you contact Beautiful Wedding Announcements! 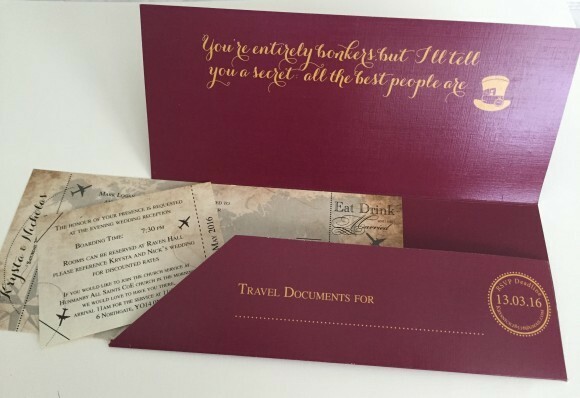 Thank you so much to the amazing team at Beautiful Wedding Announcements! 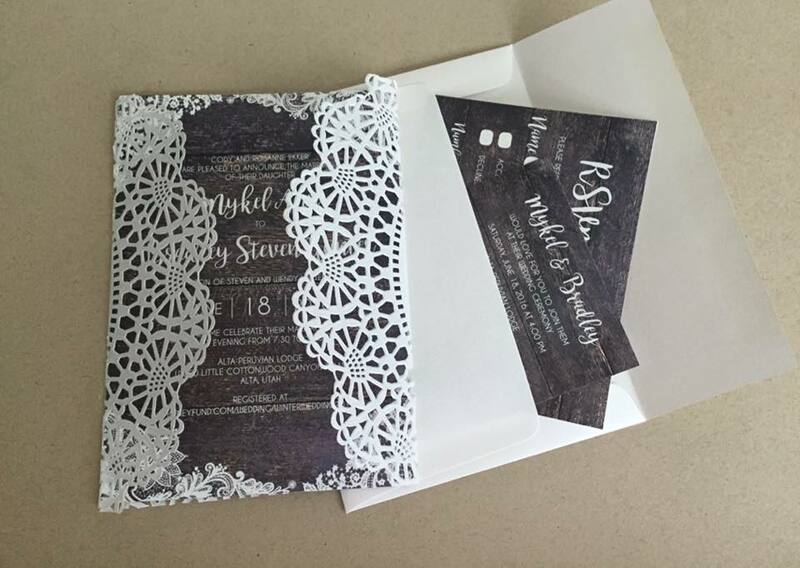 For our invitations I wanted something beautiful, simple and affordable. I wanted all my invitations done in Spanish and this team made it happen! They made the experience easy and stress free, which is what every bride-to-be needs. Thank you so much to the amazing team at Beautiful Wedding Announcements! 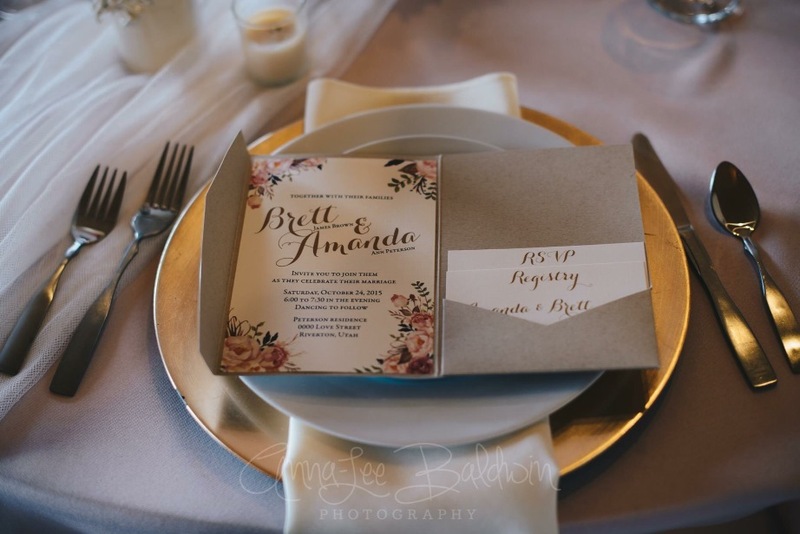 I loved my experience with Beautiful Wedding Announcements! I loved my experience with Beautiful Wedding Announcements. I lived far away to actually meet any of them in person. They were so patient and understanding with every detail. I loved my invitations. I would definitely recommend them. I absolutely loved my wedding announcements! I absolutely loved my wedding announcements, they were just what I wanted! Beautiful Wedding Announcements listened to me and together we created just what I wanted. The staff was professional and responded to emails and phone calls in a timely manner. I would recommend this to anyone one my friends. Best announcements and the best price! 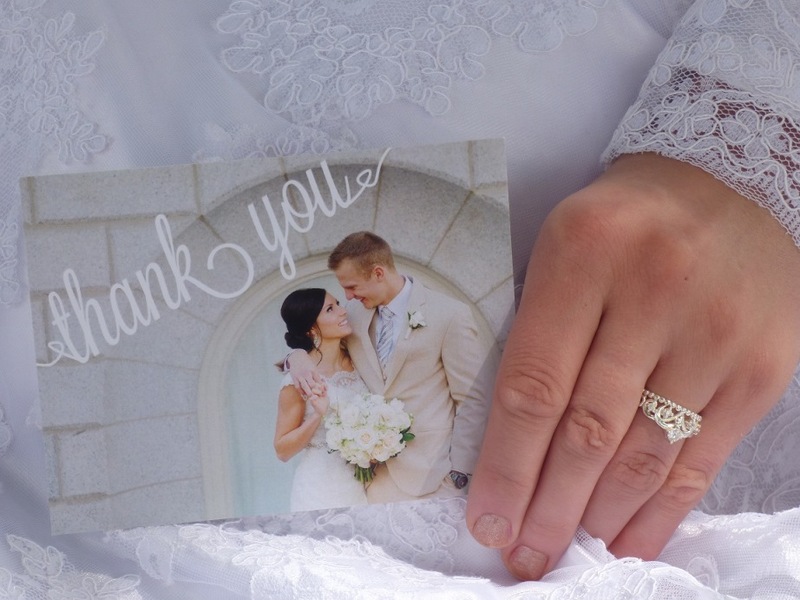 We had a wonderful experience with Beautiful Wedding Announcements! The staff was so talented and professional, our announcements were absolutely beautiful and exactly what I wanted. There is no beating the VALUE! Best announcements and the best price! What a great experience! We absolutely loved our announcements! What a great experience! We absolutely loved our announcements! The prices and quality were wonderful. It was an easier and faster process than we thought it would be to order announcements. We are grateful Beautiful Wedding Announcements made part of our wedding planning that much easier and stress free! You won't regret choosing them to help you to announce your big day!